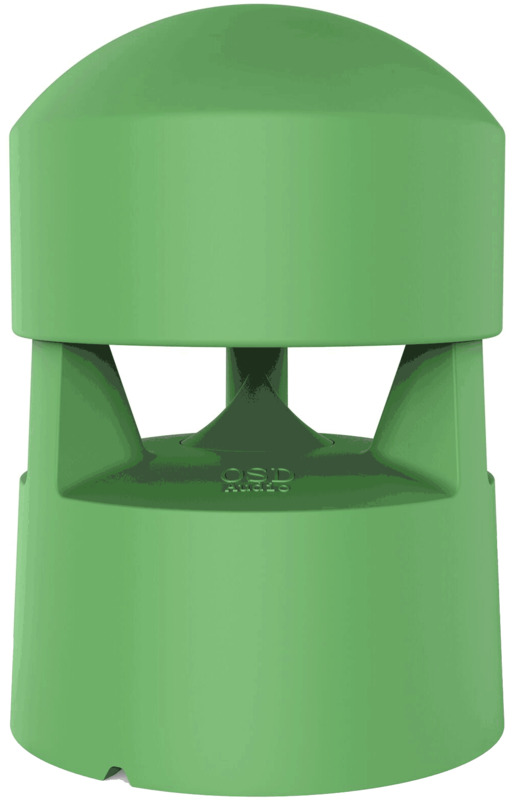 Popular with landscape professionals and audio contractors, omni speakers offer omni-directional, 360° surround sound with no obstructions. If there are multiple people scattered in different areas, the sound is consistent, not mixed. 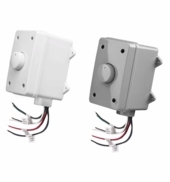 This feature plus the durable nature of the Omni make it a popular speaker for theme parks, hotels, and resorts; however, omnis are also quite common for residential use. Should I bury my omni speaker to get better sound? What kind of amplification do I need? The OS850 is a passive speaker, meaning it will require power from an amplifier or receiver. This speaker has high power handling so you'll want to pair it with an amp that can handle 300W. We suggest our AMP300 high current amp to get the best sound performance from your new omni speaker. Special design dispersion plate is designed to deliver high frequencies at 12-degrees above horizontal, no blocking high frequency. 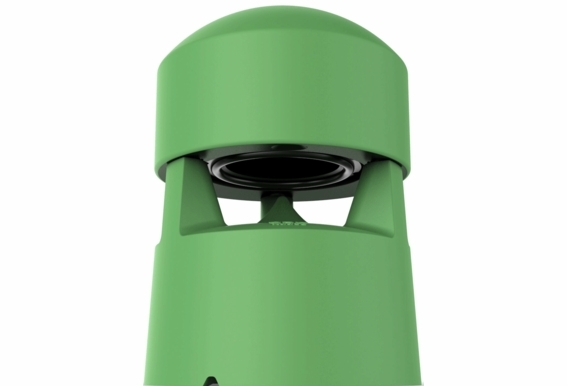 If you want the best omni speaker in the market, this high definition garden omni 360 degree in ground speaker, designed for theme parks, hotels, or any architecturally landscaped area, simplify installation and deliver deep, rich and clear sound. This omni speaker is a 8” woofer cone with rubber surround, 1.5” mylar dome tweeter with 2 step crossover design for audiophile application. 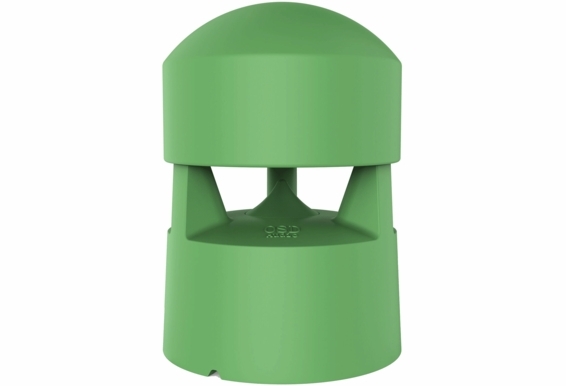 This garden speakers are designed to blend into any environment which can be used for in-landscape burial. 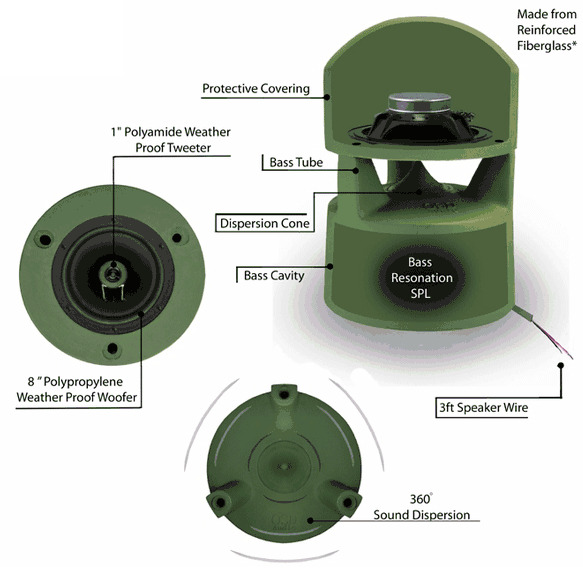 The enclosure is not made by ABS plastics like other omni speakers in the market. We all know ABS can have resonance that can't produce tight bass. We actually design this speaker using the same materials making our rock speakers (reinforced resin fiber glass). 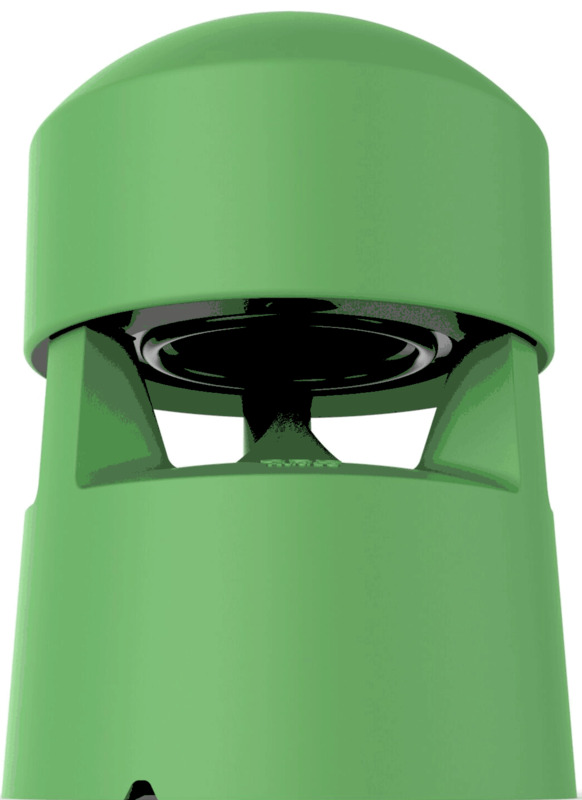 The result is a deep clean and tight bass that no other omni speaker in the market can produce. This advance USA engineering design ensures performance in even the most temperamental and unpredictable climates. I am going to buy the new sonos amp at 125 watts per amp. Going to connect only two os850s to it will there be an problems. I am buying for speaker but will use a separate amp for both. Thinking of using a Crown PS-400 to drive these. Your opinion? Also how do these compare to Stereo Stone 250W Commercial grade stealth rock speakers? How does this speaker compare to the Bose Free Space 51? I am going to use this product, probably 4 for my patio/pool. I want to drive them with Sonos Connect AMP. With Sonos saying their device will do 55 W per channel at 8 Ohms. Will that work for these speakers, if not do you have a similar speaker that would work? Thanks. I have 2 RS690 rock speakers on one side of a patio. I would like to put 1 OS 850 in the garden in the middle and 2 RS690 rock speakers on the other end of the patio. The patio is 20' x 54'. These speakers run through a splitter into a receiver. each pair has volume control. Hello - exactly how deep should these be buried? The manual doesn't actually say, it just tells you how large a hole to dig. Do you bury the entire bottom part? Higher? Thanks in advance. I own two OSD 850. I was looking to get 2 more. However they are now discontinued..Does the replacement ( osd 790) contain the same speakers. Hi Raj, The OS850 are coming back! They will probably be here in about a month to a month and a half. The OS790 has an 8" woofer as well, but is slightly less powerful. I would like to purchase a set of these, however I'd like to know if I need to pair with an outdoor sub (Sub200) for the bass. How does the 850 deal with bass outside? Does it need a supplement? I bought 4 speakers OS850 however they do not sound clear. I am using a receiver Onkyo TX - NR616. I also bought an Amplifier MX1260 but I did not install yet. 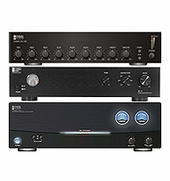 My question will be how to install the amp using the receiver? Plus I am worried that just using the receiver the speaker is not sounding right... imagine with the amp... Any help before I think that these speaker do not perform right? Does this speaker require a 2-wire or 4-wire connection? After looking around quite a bit, I think I'm sold on a pair of OS850 speakers. The reviews on these seem to be very good. What kind of power source would work best with these? I would like to connect an ipod and stream satellite radio thru them. I do have a 'boom box' type radio but I'm not sure they will work properly with it?! What would you recommend? Thanks. I'm looking for 37 of the OS850. Do you have them in stock and would this be the best price i could get. We are a reseller. Thanks for the quick reply on my painting question. Now, one last detail I forgot to ask before. 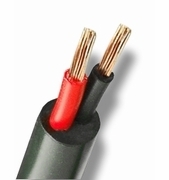 If I use these in the 70v configuration you offer, what would the frequency response be? You show 38 to 20k for the 8 ohm version, my TOA 900 amps send out 20-20k, so I hope the 70v version of this system keeps close to the original 8 ohm specs. Thanks again. I'm interested in using these in the Phoenix, AZ area. They would be subjected to harsh sunlight all year. Is there a recommended way to paint these a light color? Would painting them void any warranty? 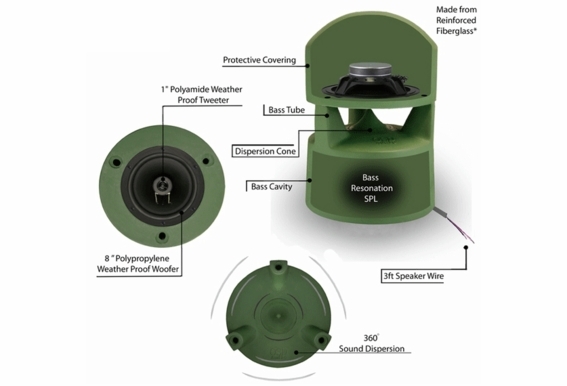 I am looking to get an outdoor waterproof speaker to bring out boating, I am looking to just connect an MP3 player to the speakers and have a portable power source, would this speaker be suitable or does it need to be connect to an amp? If not suitable what would you recommend?